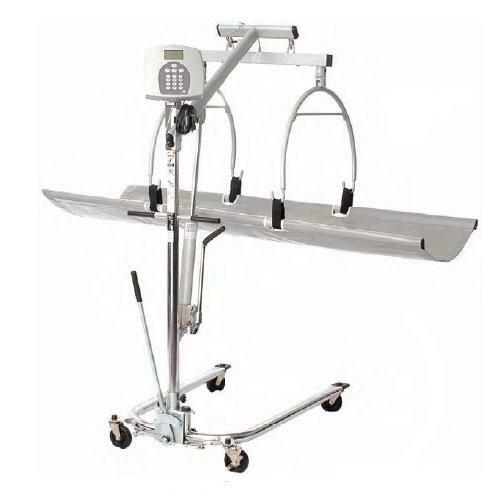 Health o meter Stretcher Scale Model 2000KL uses highly sophisticated microprocessor technology. This scale is designed to provide accurate, reliable and repeatable weight measurements and features that make the weighing process simple, fast and convenient. The scale is set up to use motion-sensing weighing technology, to determine the actual weight of a moving patient The unit can be operated using its AC adapter or by 6 AA batteries (not included). 70.5" (w) x 46.5" (d) x 60.5"